MY GRANNY DAN CAME BACK TO ME! Happy New Year! Haven’t posted anything since this year. I began interning at a wonderful place this January and I haven’t had time for myself. I wake up early and go to bed pretty late. Today didn’t begin well at all. I was in a bus when I got a call from a high school friend saying a classmate of ours lost his younger sister to a terrible accident. She happens to be my name sake and even though I wasn’t close to her, I still can’t wrap my head around the death of a very young girl who was rounding up service in Akwa Ibom State. It reminded me once again of the brevity and vanity of it all. I was sent to get few documents from a company at work today. 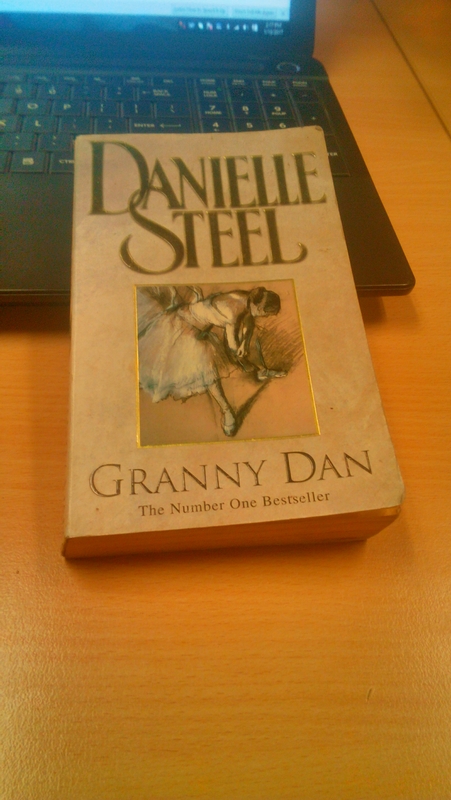 On my way back, I came across GRANNY DAN by DANIELLE STEEL! This book means so much to me. I bought it in the year 2011 when I was still in the University of Port Harcourt. I brought this book with me to UI and gave it to my friend to read for few weeks. She never returned it. Temi, if you’re reading this; CLAP FOR YOURSELF! I wept. I cried. Book lovers like me understand this kind of heartache. I have searched for this book in shops and what have you, but all to no avail. Today. It came to me. I found it rather. Resting gallantly with other books somewhere at the CMS BUS STOP! And I bought it for a very fair price. I have found home. I feel so emotional. The year was 1902. A motherless young girl arrived at ballet school in St. Petersburg. By the age of seventeen Danina Petroskova was forced to make a heartbreaking choice – as the world around her was about to change forever. In this extraordinary novel a simple box, filled with mementos from a grandmother, offers a long forgotten history of youth and beauty, love and dreams. I just can’t believe I have my GRANNY DAN! I wish someone took a picture of my expression when I found YOU! May the soul of the Chidinma Sandra Ewelike Rest In Peace. Amen.